One of the highlights of the park was the so-called working mine. 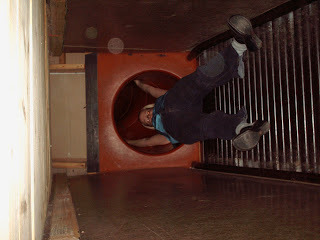 It had slides going from floor to floor (and regular stair cases). 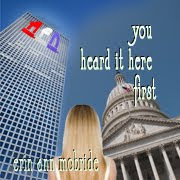 Porter saw the slide from the outside, and ran like a mad man screaming "SLIDE!!!!!!!!" to get there. 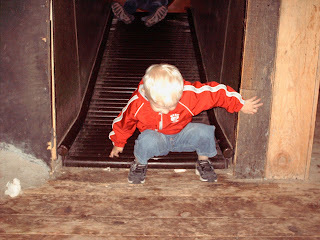 Once we got inside and he saw how dark, steep, and strange it was, he immediately declared, "I SCARED!" and wouldn't go near it. 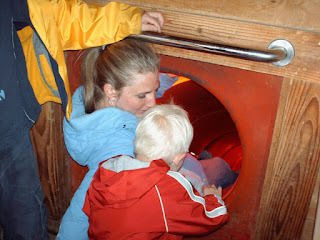 But as soon as he saw his mother climb in, he climbed right on top of her and went down the slide. I should mention here, it's a little bit strange getting into a pitch dark slide that you have no idea how steep, long, curvy, etc it is. I knew it was for kids so it couldn't be that bad, but still! 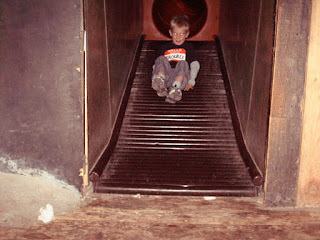 This was all of my fears wrapped into one little orange slide- falling, darkness, and speed all combined. Not my idea of a good time. BUT! I did it. And I lived. As did my nephews, who tried it about 50 times each. 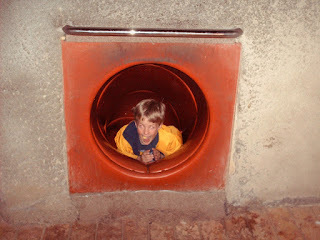 And here's Porter emerging from the underground slide. 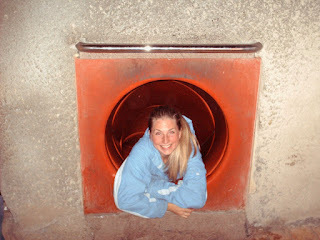 If you look closely you'll see Natalie's feet up in the slide still. Going down the slide with Porter meant getting stuck. After the novelty of the slide wore off we went to the log flume. 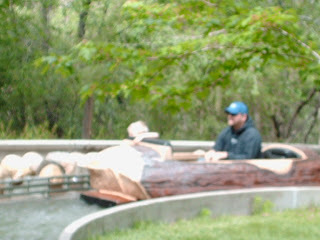 For some reason I thought it would be funny to talk Tell into riding solo on the flume. And he did it! I attempted to talk Dallin into it, but he wouldn't go totally solo. 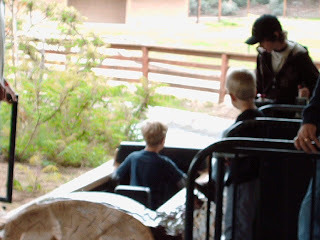 But he did ride in his own seat with his dad in the car. Natalie and Porter went first. Porter liked it so much that he threw a full blown fit when it was time to get out. So he got to go again in Aunt Erin's lap. But the picture of that is on my sister's camera, so you'll just have to believe me. He was cute about it. No fears, no problems. Until we go to the top of the ride and were just about to go down. He suddenly tried to get out of my lap and sit on the bottom of the log instead. I had to hold him tightly to keep him in the seat. When we got to the bottom he exclaimed his trademark Porter "WOAH!" 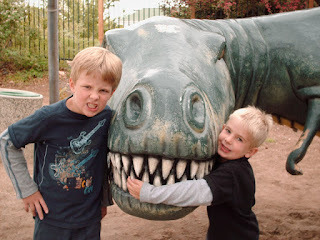 After the flume we posed with a dinosaur, and then headed home. And got In and Out Burgers. Because I do that. I'm so jealous. 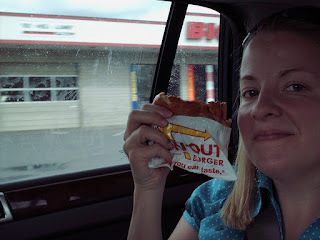 You got to act like a kid AND have In and Out burger. Man what a fun day you had! I think I need to GO THERE!! !